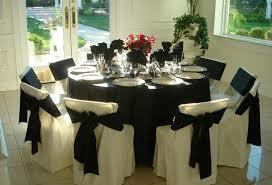 100% Cotton satin band brilliant white table cloths and napkins for that extra special finish to any table setting. We also offer top grade polyester and cotton cloths and napkins in white and selected colours upon request. Tea towels, oven cloths and kitchen cloths for rental. 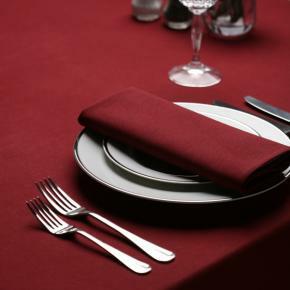 We can also offer a bespoke napkin only service from high end 100% cotton to a great range of Bistro Napkins. Short term and one-off rentals with no minimum requirements can be arranged together with longer term agreements with for peace of mind for your requirements and in doing so you bypass the need for a financial outlay for your linen. 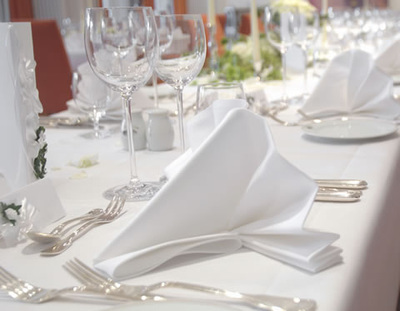 The rental service includes stock maintenance, ensuring a quality item every time you set your table. We know the loyalty of our customers is dependant on us delivering the right service to you. Competitive pricing for exceptional quality of linen and service and we will be happy meet with you to discuss any requirements you have.